This morning Sterling and I woke up early and were on the road before 5 a.m., heading down to Kanab for part 2 of our annual employee appreciation breakfast; several other corporate team members also went down as well. Our Kanab group is smaller than the home office, so we could still cook for everyone and eat all together. By the time we arrived, the other CT members had already begun cooking and had the serving under control as well, so I got my favorite assignment—mingling and hugging. The food was delicious. . . we had pretty much the same thing as yesterday: French toast, ham, eggs, and fruit. Everyone seemed to enjoy the chance to relax and visit and be appreciated! One thing they didn’t enjoy, however, is me taking pictures! I love our Kanab employees; they are humble, down-to-earth people. . . and getting them to pose for a picture is like pulling teeth! They’re usually good sports and let me snap a few even though it makes them uncomfortable, but since today was about thanking and appreciating them, I decided to show my appreciation by not making them smile for the camera. I snapped a couple of our Heart of Stampin’ Up! recipients and one of our corporate team cooking, and then I called it good. Because our Kanab office is smaller, our breakfast is a little more casual. . .we joke around and are more playful. I don’t use a mic when I’m talking to the group. We also typically only have one Heart of Stampin’ Up! receipient, but this year had more nominees in Kanab than we’ve had before (woo hoo! ), and we honored two employees with the recognition: Arlene Lundberg and Brent Alvey. Congratulations to these outstanding employees. And just like our home office, there are so many employees who could receive this award. 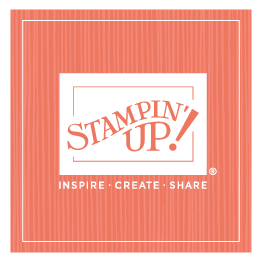 . . so many hardworking people who devote themselves to Stampin’ Up! and our demonstrators. Sterling and I headed back home afterwards (it was a quick trip down and back in one day—beautiful weather both ways! ), and I felt deeply grateful again for the incredible people I work with!